How could this happen? We started out like Romeo and Juliet but it ended up in tragedy! 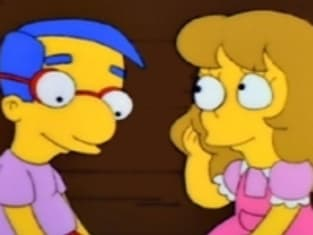 The Simpsons Season 3 Episode 23: "Bart's Friend Falls in Love"
Mr. Stanky: Samantha, you're my little girl, and sometimes my imagination runs away with me. Just, just tell me what happened. Lisa: Dad, do you know what today is? Lisa: No! It's been two weeks since you got that tape. Let's get you on the scale! Homer: Disingenuous mountebanks with their subliminal chicanery! A pox on them!